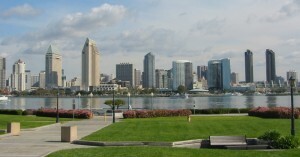 Character, charm, comfort and convenience define Downtown San Diego and its residential living possibilities. The seven or eight distinct districts within the city’s downtown core offer a home for just about anyone’s needs and taste. If you like being in the center of this major metropolitan area’s hustle and bustle, as well as wanting the convenience of nearby culture, nightlife and other social amenities, as well as financial and government facilities, then Downtown San Diego is for you. The majority of residential property here is represented by condominiums ranging in size and price from modest studios, to ultra-luxury penthouses. In addition, there are a limited number of single-family homes, including the beautifully restored Victorian mansions of Banker’s Hill. Districts such as Cortez Hill and Little Italy offer a more intimate neighborhood ambiance, while Columbia and the Marina District provide urban chic in sleek new buildings housing multi-million-dollar condos.